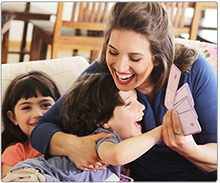 Deeper understanding of what your kids are feeling. Positive communication - to make relationships better. 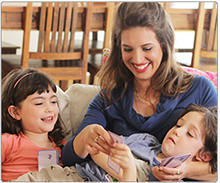 Helping kids increase their emotional intelligence. 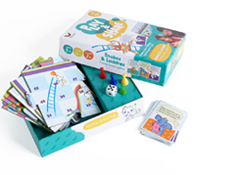 The DreamBow "Play & Share" series takes familiar games and adds layers of fun, purpose and valuable learning. 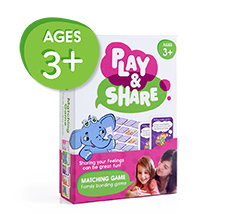 A version of the popular game Memory, each time one of you finds a matching pair, you'll get a fun and engaging activity to complete. 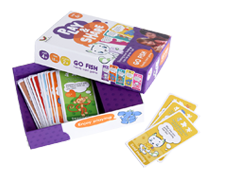 This game is great to start with and can be enjoyed by your youngest players. 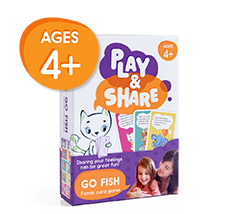 Geared for 4+, We're picking up the pace a bit in our version of Go Fish. Each time a player wins a card, you can ask them a question that calls for a thoughtful response. 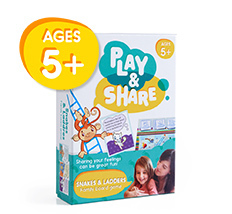 This game develops sharing and listening skills, while encouraging and exercising our imaginations. In this engaging board game, each character you land on invites you to make your tomorrow brighter and be thankful for this wonderful day. 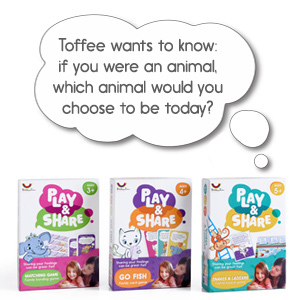 The game focuses on positive actions, consequences and decision making. These are important lessons as kids begin to gain more control. While the rules for each game are different, DreamBow's three main characters serve as guides throughout all of them. 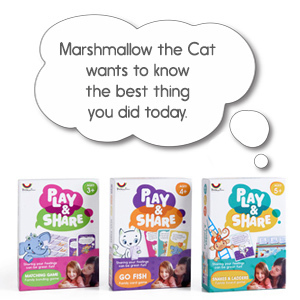 ​​Marshmallow, Choco and Toffee will be asking you and your kids to participate in engaging and fun activities. And they'll be asking questions whose answers are always right and can change every time they're asked.